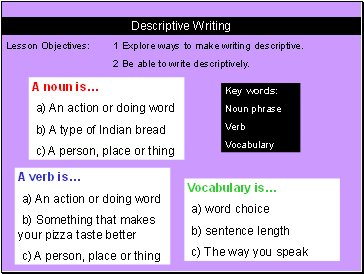 Lesson Objectives: 1 Explore ways to make writing descriptive. 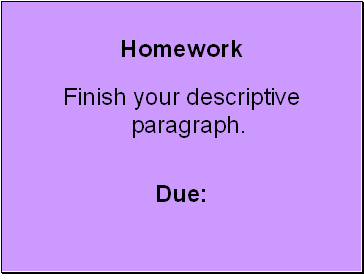 2 Be able to write descriptively. 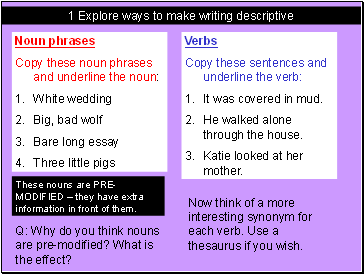 These nouns are PRE-MODIFIED – they have extra information in front of them. It was covered in mud. He walked alone through the house. Katie looked at her mother. 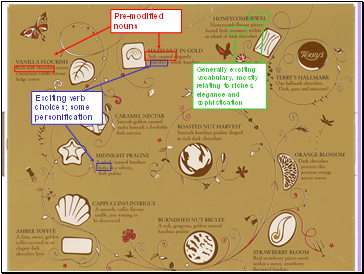 Q: Why do you think nouns are pre-modified? What is the effect? Now think of a more interesting synonym for each verb. Use a thesaurus if you wish. 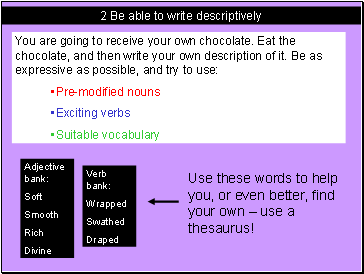 Use these words to help you, or even better, find your own – use a thesaurus! 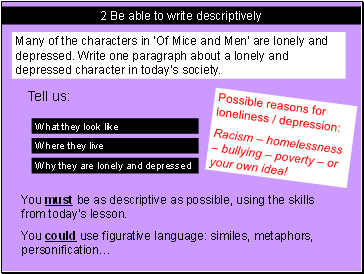 Many of the characters in ‘Of Mice and Men’ are lonely and depressed. Write one paragraph about a lonely and depressed character in today’s society. 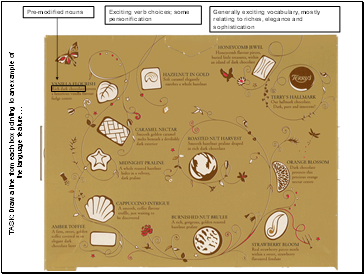 You must be as descriptive as possible, using the skills from today’s lesson. Racism – homelessness – bullying – poverty – or your own idea!